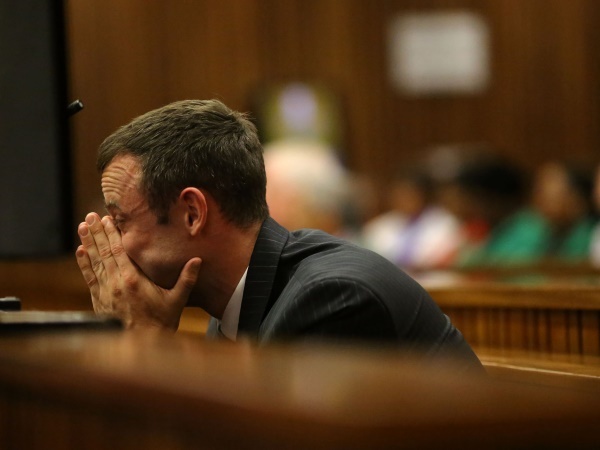 The judge in Oscar Pistorius's murder trial ordered that the live feed of proceedings be cut because of the graphic testimony of the pathologist about to give evidence on his girlfriend Reeva Steenkamp's injuries. The pathologist due to testify on Steenkamp's fatal gunshot wounds objected to his evidence being broadcast live. "Let me apologise for the inconvenience I may have caused," said Professor Gert Saayman. He said he is bound by certain ethical rules and there might be statutory limits to his conduct. He said he would not be comfortable with live unfiltered streaming of his evidence. "I think that the very personal nature of findings that are made at an autopsy examination as well as the very graphic details... have the potential to compromise the dignity of the deceased and... I believe it is our duty to preserve the dignity of the deceased," he said. It was "almost inevitable" that there would be an infringement on the rights of remaining relatives and friends of deceased. "I think it goes against the good morals of society to make information of the nature available to vulnerable and unsuspecting people such as children if they are not timeously informed," he said. "In time, the information could be made available, but it would be paraphrased or filtered and people could choose to disengage." The court has already heard graphic detail, which has left Pistorius tearful and hunching into himself in the dock, his hands over his ears. Some of Steenkamp's friends were in the court, as were Pistorius's family. Last week, the court heard from Barry Roux, SC, for Pistorius, that Steenkamp's injuries were so severe that it could not have been her screaming for help, after witnesses testified hearing a woman screaming on the morning she was killed. He said the shot to her head left her with "severe" brain damage and no cognitive function. The State seeks to have Judge Thokozile Masipa and assessors Janet Henzen-du Toit and Themba Mazibuko agree with its allegation that she was killed in an argument in an act of pre-meditated murder. Last week, radiologist Johan Stipp, a neighbour who was one of the first to arrive after the shooting, said Steenkamp's eyes were cloudy, a sign that life was fading from her body. Stipp gave a graphic account of how Steenkamp's brain matter was stuck to her hair. Pistorius is charged with murdering Steenkamp on February 14 2013 at his home in Silver Woods, Pretoria. He has pleaded not guilty and has said he thought there was an intruder in the toilet cubicle when he fired four shots, killing her.